Let me say that again: I do NOT want my kids to be high achievers. It is not a goal of mine and I don’t want it to be a goal of theirs. So often the label “gifted”, “gt”, “talented”, “advanced potential”, “advanced learners”, etc, etc, comes with strings. Sometimes these strings feel invisible, but oftentimes they are quite blatant. Sometimes these strings are kind-hearted, but oftentimes they are vicious and misconstrued. Sometimes these strings are meant to empower, but oftentimes they are meant to disenfranchise and disempower. And no matter what the intent, I’ve rarely seen these strings be helpful. In fact, more often I see children, youth, and adults of all ages crumble and suffocate as they become entangled with this one particular string. At its essence, the most damaging string that’s attached to an identification of giftedness is one of performance. People hear gifted and they assume high performing, high achieving, advanced. They say things like, “You are so good at everything, you’re going to be tremendously successful” or “You’re so smart, everything must be so easy for you” or “You have the kind of brain that will one day find the cure for cancer” or “You’ve been given a tremendous gift, make sure you use it well” or “You owe the world to live up to your potential” or “You’re so smart, this shouldn’t be so difficult!” or “Well of course you got an A!” This list could go on and on and on. Many of these quotes have actually been said to people I know. And I can unequivocally say, none of the people who heard these things found them to be helpful. Believing that gifted has anything to do with performance has many damaging consequences. I’m most concerned with the following two. 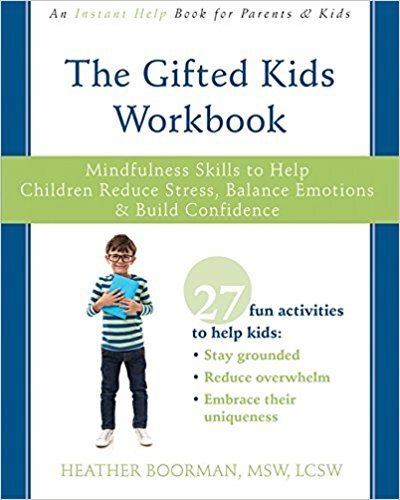 First, there are many, many, MANY gifted kids who are currently in school and are struggling. They are bored. They are unchallenged. They are behavior problems. They are hiding their giftedness. Their outside of the box thinking doesn’t translate to high performance. They definitely are not identified as gifted. And so they are not given accommodations to challenge, feed, and modulate the joys and challenges of who they are and how they are wired to be. When performance is tied to giftedness, we perpetuate a culture in which these kids will continue to slip through the cracks and not have their needs met. Second, there are many, many, MANY gifted adults who are floundering under the pressure. They’ve been hearing that they should be performing well. They should have a very “successful” life. They should be at the tops of their fields. They should be solving homelessness and hunger or curing cancer. Yikes! That is an awful lot of pressure. And when many of these gifted kids, youth, and adults have other intensities, that pressure becomes amplified and paralyzing. Anxiety and existential depression find a home inside their minds and tear these people apart. For many gifted individuals, by setting the expectation of high performance, we actually induce the opposite. So, no. I do not want my kids to be high achieving. I do not want them to have these intense expectations placed upon them. I want them to be contented. I want them to know who they are and follow what they are passionate about. I want them to know that they can always change careers and vocations and locations and whatever else they’d like to change if they find life unfulfilling. I want them to know that the weight of the world does not rest on their shoulders. They are just as worthwhile if they choose to coach soccer down at the neighborhood community center as they are if they achieve a nobel prize. I want my kids to know that it is perfectly fine to be ordinary. I don’t care how they perform, so long as they are content and well. And, see, here’s the irony. If they are feeling content and well, they will naturally become high performers. If we prioritize inner confidence, security, well-being, we are more willing to take risks. And when we take risks to pursue our passions, we tend to pursue things we’re talented in. And we tend to be filled with passion and enthusiasm. And when those things are combined, we stretch higher, reach farther, and perform better.